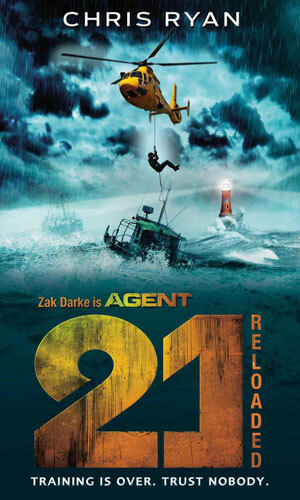 Zak Darke is an agent with British Intelligence. Exactly which agency he works for is not known and his boss seems as mysterious as his shadowy bureau. Zak was warned, friendly enough but sincerely, that if he tried to find out, no one would help and no one would believe him. This last part was mostly likely because being a teenager, his questions would be chalked up to a vivid imagination at best and delusion at worst. The man did tell him that Darke could call him Michael if he wished - not that it was really his nice, just that Darke could use it for him. And the department this Michael worked for was so secret few would recognize its name, even the Prime Minister. There would be few taking his side, either. When his parents died of food poisoning while attending a conference in Nigeria, Darke was left to live with his aunt and uncle, good people but strict and not really prepared to have another mouth to feed and body to clothe. Except for his cousin, Ellie, Zak was largely alone. He did not have any close friends due to being new to the area and being smart than most his age. When he was approached to join the organization, he demurred. Life would soon bring him around, not the least reason being a chance to learn how his parents' deaths were no accidents. Joining meant leaving behind everything he knew which, except for his cousin, was not much of a loss but totally abandoning everything was a huge step. His training was conducted by two people assigned him by Michael, both in their mid 20's. One was a female named Gabriella and the other a male called Raf. It did not take Darke very long to realize the names, like much of his new life was going to be, were not real but were versions of Gabriel and Rafael, letting him know that in addition to training they were his guardian angels. 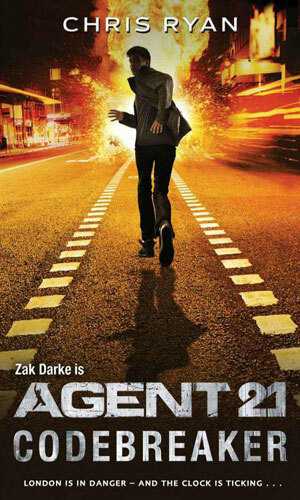 Darke is codenamed Agent 21. Raf was Agent 16 and Gabs was Agent 17. These facts lead Darke to believe that the group to which he belonged was not that large but it also made him wonder how many of those numbered higher were still around to use the designations. Becoming an agent at such a young age will totally change his life forever but no matter what training he might get or how much experience he might acquire, he is still a teenager with a teenager's look at everything. 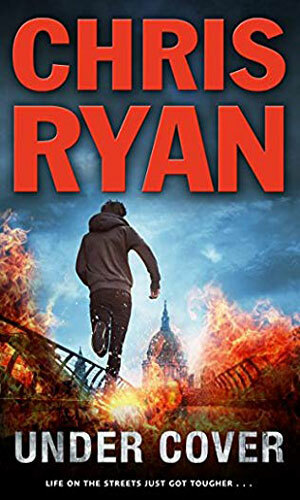 Zak Darke's job is to join a gang of 15-year-old gun runners who are as savvy as he is and even more dangerous. The death of his parents in a mysterious mass killing puts 13-year-old Zak Darke living with relatives. When he is approached by a stranger with possible answers, he is both intrigued and cautious. Eventually he becomes an agent for the man, designated Agent 21 with no idea what happened to the first 20. 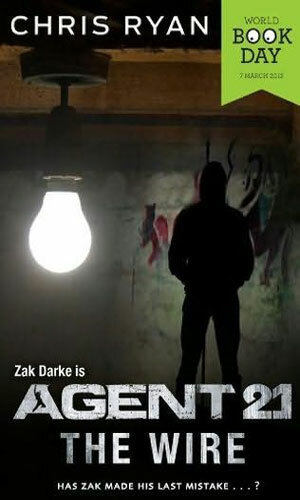 Zak Darke, Agent 21, has been with his unnamed agency for over a year. This mission sends him to a port in West Africa pretending to be an aid worker while his real task is to somehow get onboard a ship belonging to terrorists, find out what its purpose was, and then destroy it. 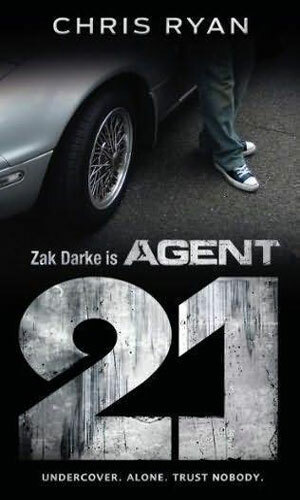 Who the bomber whose explosion on a London subway left one dead and others injured, Zak Darke, Agent 21, is brought in along with others to investigate. A teenager might hold some answers but then he is shot and put into a coma. His mission back in Africa seemed fairly simple but it got complicated very quickly when he runs up against an old enemy and that person's army of child soldiers. "Frankie is a street kid - sharp, quick, and usually up to no good. When he tries to steal from the wrong people, he is saved by a mysterious man called Dara who makes Frankie a compelling offer: an apartment and a sizeable weekly allowance. All he has to do is take lessons from Dara. Soon Frankie finds himself learning about surveillance techniques, how to make himself invisible in a crowd, and hand to hand combat. But what is this all for? Frankie has no idea until he's given his first mission and finds his whole world turned upside down." "'Don't come after us...remember the first thing I ever taught you - that your first duty is to stay alive.' For some time now, Zack Darke has been operating solo, in total secrecy, for a shadowy government organisation. When his handlers are abducted by somebody with a serious personal vendetta against him, Zak has no choice but to go after them. And heading across the world to find them - into danger like he's never known - is something that, this time, he cannot do alone..."
For many years after I became an adult, I stayed away from reading a young adult adventure novel. They were for kids, not grown ups. It took a lot of time to gray my hair before I came to realize that an adventure meant for teens is totally different from those meant for kids. Teens need realistic excitement and danger and action and characters that they would believe. No cartoon villians or heroes allowed, please. At least not if the author wanted a chance to write a second one. And the writing has to be compelling enough to capture the attention (and hold it for a few hours) of people pulled away by the Internet, social media, incredible games, television, and movies. And in the case of teen males, girls. This is a tough job to do. 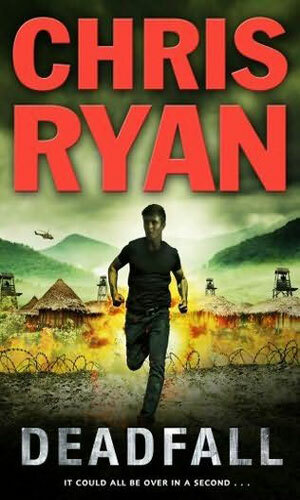 Chris Ryan, the author of the Agent 21 series, pulls it off. He is one of just a handful that have done it but he did it terrifically. 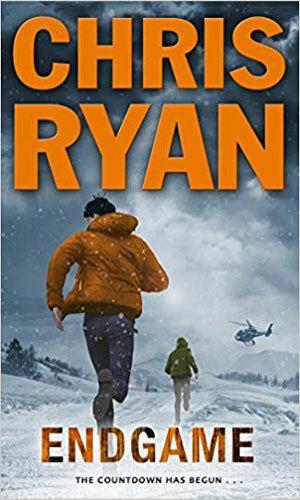 I enjoyed the books a lot and hearing the success Ryan has enjoyed, I gather a lot of people a good deal younger than I did as well.